Master of aural gloom and suspense, the Japanese musician and composer Akira Yamaoka is best-known for his work on the soundtrack for the Silent Hill video game series, where he used a mixture of ambient, trip-hop, rock, and industrial to chilling effect. The Niigata-born Yamaoka, who names Depeche Mode, Metallica, and Angelo Badalamenti as his influences, initially wanted to be a designer, and graduated from Tokyo Art College, but fell under the sway of artists such as Mick Karn of Japan and Steve Strange of Visage, who, in Yamaoka's words, "combined the notions of Art and Music with their own new style." 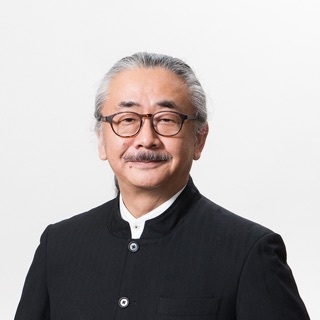 He debuted in 1991 with the soundtrack to Smart Ball game, done with Yasuhiko Fukuda and Manabu Saito; in 1993, he joined Konami and continued to work on game soundtracks, keeping a relatively low profile through most of the 90s. His big break came in 1999, when he convinced the producers that he was the man to score the first Silent Hill game. It was a best-seller, and Yamaoka became the main composer for the whole franchise (excluding two minor spin-offs), adding duties as the producer of the game after Silent Hill 3 (2003); since the third installment of the series he also began working with vocalists Mary Elizabeth McGlynn and Joe Romersa. Music from Silent Hill 2 was performed at the Symphonic Game Music Concert in Leipzig in 2005, and in 2006, some compositions from the series were included in the "Play! A Video Game Symphony" live performance, Yamaoka with a seven-string guitar sharing the stage with an orchestra at its world premiere in Chicago. His music for the games was used in the 2006 movie adaptation of Silent Hill, which also included work by Jeff Danna; the same year Yamaoka released his debut album, the electronica-leaning iFUTURELIST, and then did soudntracks for the two next Silent Hill games, Origins and Homecoming, which followed in 2007 and 2008 respectively.